The lumbar (low back) sympathetic plexus is a collection of nerves that carries sympathetic nervous supply to the lower extremities. The plexus lies in front of the psoas muscle at lumbar vertebral levels L2, L3, and L4. Sympathetic nerves control sweating, heart rate, blood vessels, pupil dilatation, movement of food through the intestines, and many other body functions. Psoas muscle is a low back muscle that helps to stabilize the spine, allows the spine to flex, and hips to rotate. A lumbar sympathetic nerve block may benefit certain conditions where vasodilation — widening of blood vessels — or, when pain travels along the sympathetic nerves. Vasodilation helps relieve lower extremity pain caused by ischemia; a restriction of blood supply or flow. If the nerve block proves helpful, neurolysis can block pain, or spinal cord stimulationmay be recommended. Neurolysis involves a chemical or other method to disable the nerve’s ability to transmit pain. 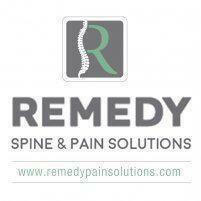 Extremity pain conditions, such as Reflex Sympathetic Dystrophy (RSD) / Complex Regional Pain Syndrome (CRPS) may benefit. The medication often used is a local anesthetic, which is temporary (effective for several hours). Although the local anesthetic provides short term pain relief, the nerve block may provide relief from chronic pain for days to weeks. A lumbar sympathetic block can help clarify an unclear diagnosis of RSD/CRPS. If the nerve block provides long term pain relief, it can be repeated. There are other options when a lumbar sympathetic block does not provide satisfactory pain relief.